Cranfield University Blogs | Port of Jakarta: a plan to challenge the ports in the South-East Asian region? Today the port of Jakarta, Tanjung Priok, handles a volume of 6,5 million TEUs per annum and is ranked 23rd in the world. Excluding the ports outside of Asia, Priok would be in the 7th position. Looking only at the numbers we may assume that Priok plays a significant role in connecting Indonesia to the principal hubs all over the world. But this isn’t true. 37% of the volume is composed of national volume to shipments to the other Indonesian terminals: e.g. Belween Sumatra in the North and Tantunpera in East Java. For international shipments Jakarta plays a secondary role in the international logistics network, operating as a feeder function to the larger container Hubs in Asia, eg. Singapore, Hong-Kong and Shangai. These ports move over 20 million TEUs p.a. and are the focal points for the mega carriers. The government has ambitious targets in turning the port into an important international player by 2023 with an expansion to 18 million TEU pa capacity with a planned investment of USD 2,5 billion. International trade will expand in South East Asia and demand for the increase of terminal capacities will increase. At the same time local industry is frustrated by the port services. “After unloading a import container it takes nearly one month for clearing activities to be completed”, stated by one of the biggest corporate groups in Indonesia. Also for local shipments bureaucracy penalizes the logistics costs. “Some regions as Papua are excluded from the economy due to the long lead times and logistics costs”, one influential entrepreneur from Jakarta commented during a discussion panel at a Supply Chain event in May. 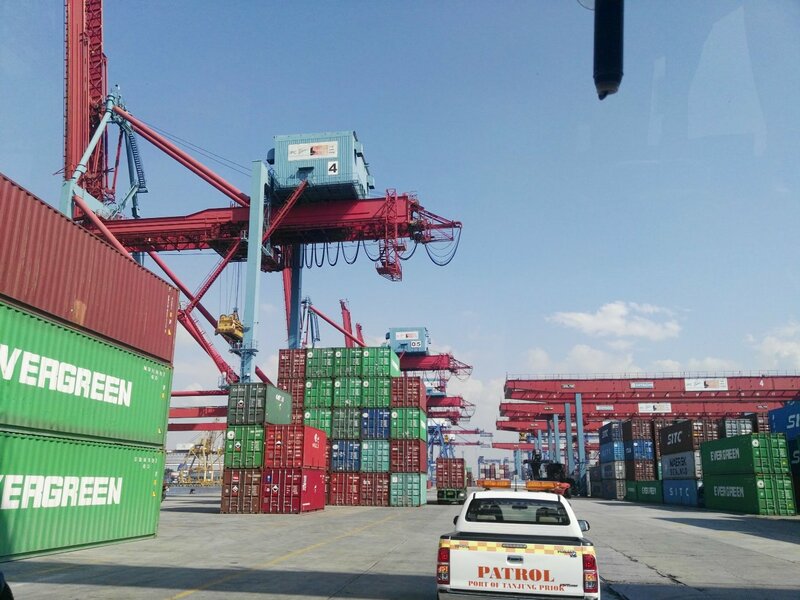 The port presents an average of five days standing time of the containers in the terminal and targets a reduction of two days. Many governmental departments, e.g. ministry of agriculture, that have to give their approval for food imports and exports, have to adjust their processes. Will this change of mindset from bureaucracy to efficiency be taken as a target in the organization?